What could we possibly be planning ... ?? Either a RAID Array or a Giveaway. Hi and a very warm welcome to ocaholic Rainwolf! Well, it's going to be a huge RAID array. There is going to be a Samsung event here in Switzerland, and they've been asking us to come up with something special. I gave it some thought and told them, we would like to break some world records. 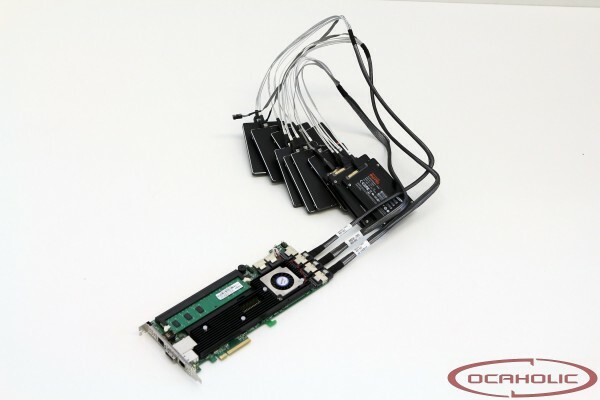 As a controller we will use an Areca ARC-1882ix-24 PCIe 3.0 x8. With this controller we even have some headroom to attach even more drive, although we might reach PCIe bandwidth limitaions, when raiding 16 drives. there will be fun they said.